Drawing and painting are not the only things your child can do while sitting at the table. 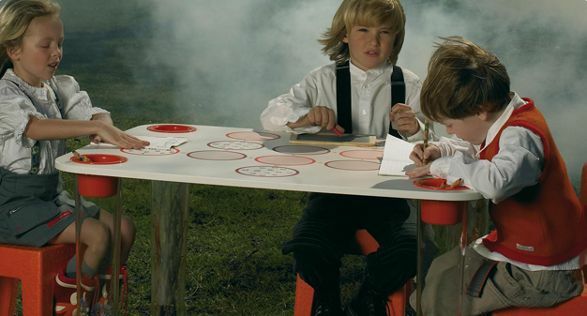 Here are some more propositions of inventive and stimulating tables for your kid. They can be a comfortable place for letters and numbers learning, blocks building or chalk drawing. How could a child be bored with one of them? Furniture and home accessories inspired by child's plays. For children.